Cochran's Q test is used to compare several paired samples of binary data. 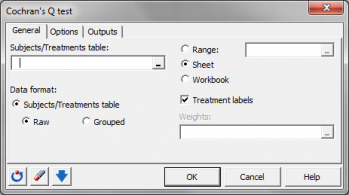 Run it in Excel using the XLSTAT add-on statistical software. The Cochran’s Q test is presented as a particular case of the Friedman’s test (comparison a k paired samples) when the variable is binary. Asymptotic p-value computation is available. Furthermore, XLSTAT recently developed an algorithm that allows to fastly compute exact or Monte-Carlo approximated p-values. 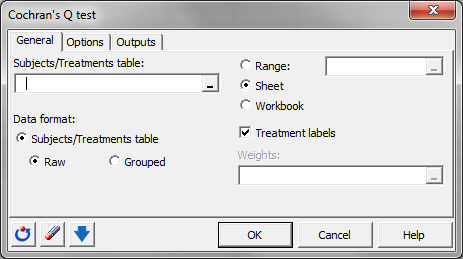 Multiple pairwise comparison tests are available to compare the treatments if the null hypothesis is rejected, so that the treatments that are responsible for a difference can be identified.